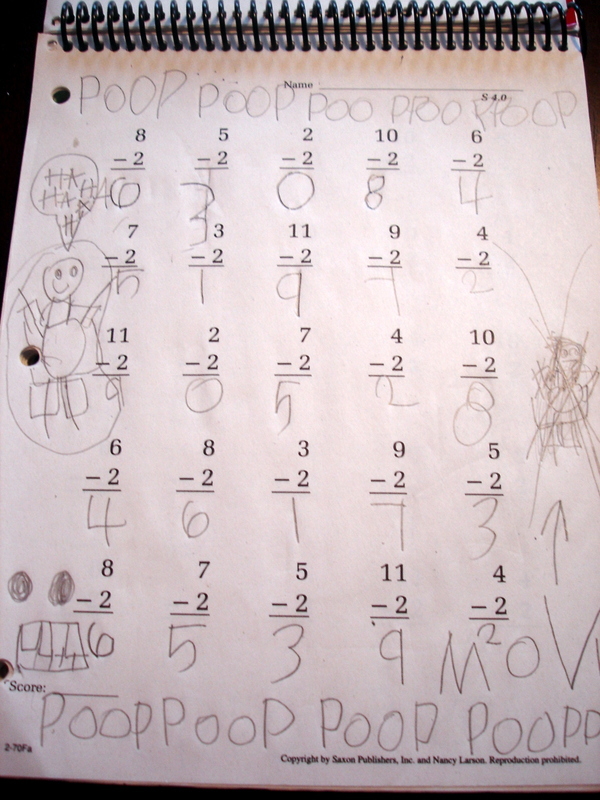 In case you can’t tell, it says, “POOP” all around the top and bottom. 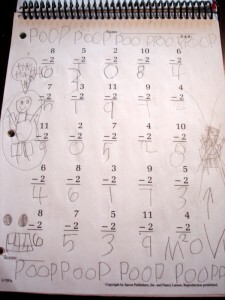 On the right is a scribbled out person with an arrow pointing to it saying, “MOM”. On the left is a person with a talking bubble saying, “HA HA HA”. That other person is Josiah. That is too funny…well in a hindsight sort of way!